What Is Diabetes And The Different Types? The global burden of Diabetes has become a huge cause of worry among health administrators all over the world. Even though the actual causes are complex, there is good evidence that a large number of cases of diabetes and its difficulties can be prevented by a healthy diet, regular physical activity, maintaining a normal body weight, and avoiding tobacco. Here let us know more regarding diabetes. Diabetes is a chronic, serious disease that befalls when the body doesn’t provide any or enough insulin, leading to an immoderate of sugar in the blood. Insulin is a hormone, produced by the pancreas, which helps the cells of the body use the glucose (sugar) in food. Cells require this energy in order to function correctly. Sugar builds up in the bloodstream and is excreted in the urine. Eventually, the high blood sugar caused by immoderate amounts of glucose in the blood leads to a classification of complications, particularly for the eyes, kidneys, nerves, heart and blood vessels. 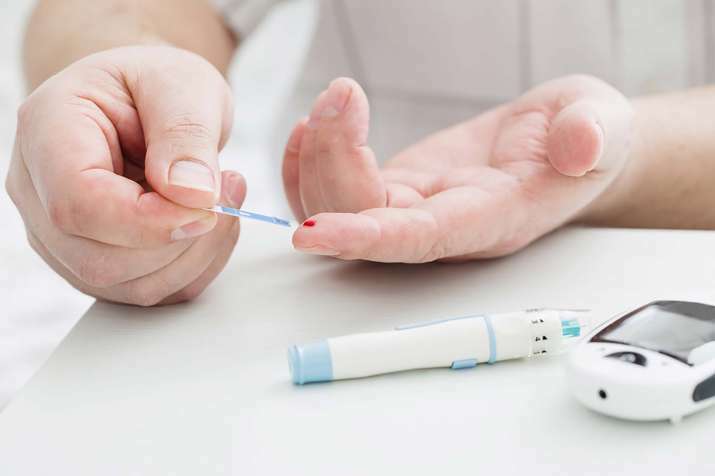 Generally, there are three main different types of diabetes they are type 1, type 2 and gestational—and each can influence your body in various ways and may require different treatments. Here’s few basic information about each one. Below I explained different types of diabetes clearly. Type 1 diabetes is generally known as insulin-dependent diabetes and before called as juvenile diabetes, is a state in which the pancreas doesn’t produce adequate —or any—insulin. Insulin is a hormone that your body requires to let sugar (glucose) into your cells to produce energy. Type 1 diabetes normally occurs during childhood or adolescence, but it can transpire in adults. If you observe that you feel very thirsty, urinate regularly, feel extremely hungry, are losing your weight, feel fatigued or undergo blurred vision, talk to your health care professional. These can all be diabetes symptoms. If you are suffering from type 1 diabetes, you will require insulin therapy. Type 2 diabetes is the most usual form of diabetes. In this type, your body doesn’t make adequate insulin or doesn’t use it correctly. Initially, your pancreas may create extra insulin, but over time it can’t make sufficient to keep up. Without insulin to bring glucose to your cells for energy, too much glucose can build up in your blood, which can starve your cells of energy and result in a number of difficulties over time. Symptoms are near to type 1 diabetes, though sometimes milder. Weight loss is not a particular symptom of type 2 diabetes, but tingling or numbness in the hands or else in feet may be. If you are having type 2 diabetes, it is essential to work intimately with your health care professional to monitor your blood glucose and direct your diabetes. With proper diet, exercise and sometimes vaccination lifestyle, you may delay or avoid insulin therapy. Gestational diabetes only happens during pregnancy. 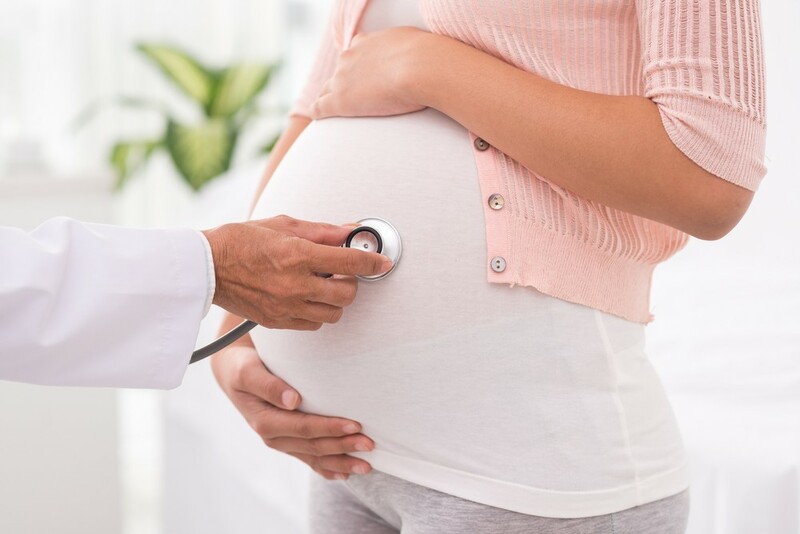 If you have never had diabetes previously but have a high range of blood glucose levels in the time of pregnancy, you are said to have gestational diabetes. Medical specialists understand the hormones from the placenta may assemble the mother’s insulin less effective. If it’s left untreated, it could result in difficulties for the baby, like a higher risk for breathing issues and obesity and also type 2 diabetes later in life. If you’re diagnosed with diabetes or undergo any symptoms, talk to your health care provider as soon as possible to get tested or start treatment before more severe complications can occur. LADA is also known as Latent autoimmune diabetes in adults, or LADA, is a less popular form of diabetes that usually afflicts people over the age of 30. In LADA, initial type 2 diabetes symptoms finally evolve into a situation resembling type 1 diabetes. People with LADA make sufficient insulin at first, but their immune system later starts making antibodies against insulin-making cells of the pancreas. Patients will usually need insulin injections as part of their treatment. It is evaluated that up to 10 percent of people with type 2 diabetes have Latent auto-immune diabetes. Double Diabetes – Double diabetes happens when someone who already holds type 1 diabetes develops a resistance to the insulin vaccination they are taking, related to type 2 diabetes. This condition is more and more commonly observed in children, particularly those who are overweight or obese. 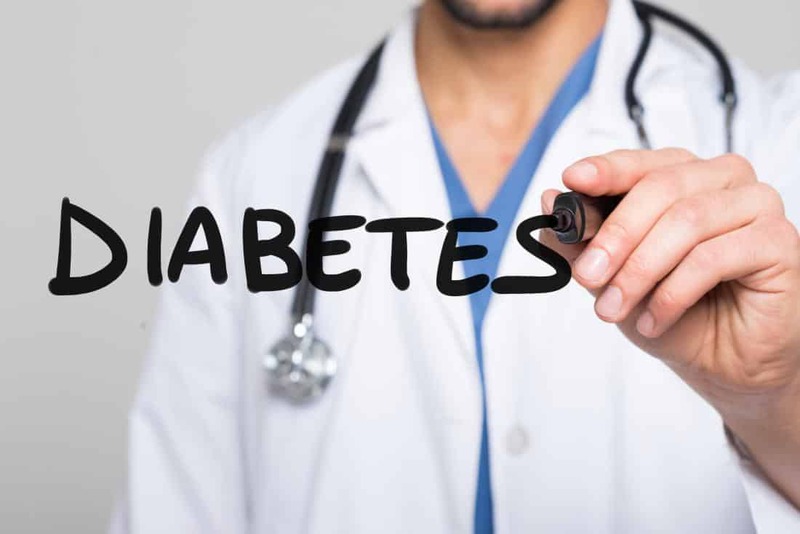 Diabetes needs careful management to keep blood glucose in check, but special diabetes treatment plans rely amazingly on the type – which is why talking with your doctor and recognizing what type of diabetes you have is the crucial starting step. In Ayurveda, Diabetes is also called as Madhumeha (Madhu suggests ‘honey’ and Meha suggests ‘urine’). Medhumeha is categorized as Vataj Mehta (an issue caused by aggravation of Vata). Vata is Ayurvedic humor representing wind and dryness. Deterioration of the body is a characteristic that designates impairment of Vata. Maximum deterioration of dhatus (body tissues) happens in this type of disease and this is one of the reasons why all vital organs are affected by Diabetes. The other main cause of Diabetes is impaired digestion. Impaired digestion heads to an accumulation of special digestive impurities (known as ama) which gather in the pancreatic cells and impair the production of insulin. The treatment of Diabetes suggested in Ayurvedic medicine – as against modern medicine – it is aimed at restoring the body to not only balance sugar levels but also foster a positive change in the patient’s life. Ayurvedic medicines functions on the root cause of the disease, increasing the patient’s immunity, enhancing digestion and supporting lead an overall healthy life. Along with medication, dietary and lifestyle changes are also recommended to rejuvenate the body’s cells and tissues, enabling them to produce insulin properly. The big question: Should you? However, utilized safely, regular supplements might assist you to step up your blood sugar control a notch or two or help handle risk for heart disease, the most frequent and life-threatening diabetes complication. Here, the supplements you should include to (and dropping from) your diabetes treatment plan. Try these healthy habits to prevent diabetes. Low levels of vitamin D are associated with both kidney and heart failure, two significant diabetes complications. Vitamin D also stimulates bones and teeth and promotes insulin function. A review from The National Health and Nutrition Examination Survey in India in the year 2010 found that 41.6% of Indians were deficient in vitamin D. You can get more vitamin D from sunshine, fish, fortified milk, and also supplements. Dietitian and diabetes educator generally says vitamin D3 supplements are better than D2. Different medical experts suggested varying amounts of this vitamin, from 600 to 5,000 units a day for adults. The current suggested Dietary Allowance (RDA) is 600 units for people 14–70 and 800 units for adults over 70 years of age. Good bacteria can decrease glucose and insulin levels. They assist stop urinary tract infections and may aid prevent yeast infections, which are prevalent in people with diabetes. Having the right bacteria in your gut can increase insulin function, bowel function, and even contribute to weight loss. Probiotic foods combine yogurt, kefir, kimchi, and olives in brine. The number of people do not like the taste of these foods or find them hard to get. Fortunately, a broad variety of probiotic supplements are accessible. You may have to experiment or discuss with a dietitian to find what kind works for you. This compound is found in different parts of particular plants. It is widely utilized in Asia for diabetes and also gastrointestinal conditions. Few Chinese studies have determined berberine similarly as effective as metformin in reducing blood sugars. It enhances insulin function, decreases glucose production by the liver, and slows the breakdown of carbohydrate in the gut. It has been determined to enhance nerve pain (neuropathy) and kidney disease. Berberine can generate stomach cramps and other digestive side effects at high doses. It is generally taken with meals. Naturopathic doctors frequently recommend a dose of 500 milligrams, two or three times a day. Rest and sleep are important for good health, including good glucose levels. Melatonin is a hormone essential for sleep. Low melatonin levels are linked with insomnia and can impact glucose control. Given appearance to sunshine, your body can produce its own melatonin. Food sources incorporate many fruits and vegetables and nuts and seeds, but melatonin supplements may assist. Although few studies have discovered that melatonin supplements raised glucose levels, others, like this Israeli research showed that A1C levels went down in people who are with diabetes who took 2 milligrams of prolonged-deliver melatonin two hours previously bedtime for three weeks. Alpha-lipoic acid is called as a powerful antioxidant that improves insulin sensitivity. Antioxidants preserve blood vessels by neutralizing molecules known as “free radicals” that damage cells. ALA assists get glucose into the muscles, improves diabetic neuropathy, and sometimes aids with weight loss. You can get Alpha-lipoic acid from beef, organ meats such as liver, spinach, broccoli, beets, and potatoes, but Alpha-lipoic acid supplements will get your levels up soon. This mineral decreases blood sugar, relaxes muscles, and aids with many body functions. It decreases the risk of heart attack and also heart stroke. Food sources of magnesium incorporate leafy vegetables; certain berries and tropical fruits; whole grains; beans; nuts; fish like mackerel; many herbs and spices; and also dark chocolate. Despite all these sources, the average Indian’s intake is half the suggested daily allowance (RDA) of 320–420 milligrams in a day. As with new type of medications, provide supplements a fair chance. It might take a month or two to see any advantages. Supplements might aid you most along with diabetes supplements, research thoroughly; see if you can get the nutrients from food; check with a doctor expert. You might discover the right supplement makes a big difference for you. This entry was posted in Diabetes Care, Stress Management. Bookmark the permalink.